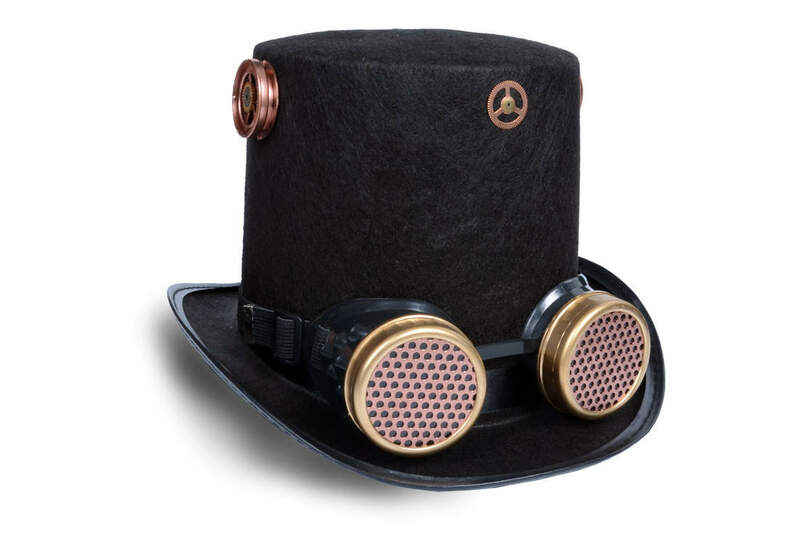 Black felt Steampunk top hat measures almost 7 inches tall with removable goggles. One size fits most. 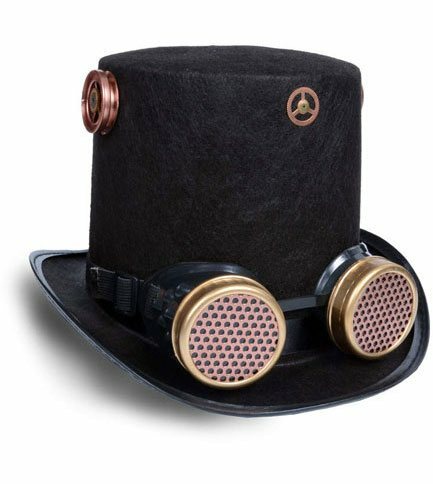 Measures approximately 24 inches in diameter Imported from Canada.